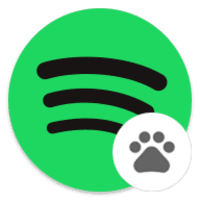 'Spotify Dogfood' was released in July of last year as a set of patches to the Spotify APK that remove ads from the free Spotify subscription. The app previously offered more premium features, but the other functionality was removed about a month ago. It was fairly popular for a while, but Spotify caught wind of the project and has just taken down the GitHub repository and download links with DMCA claims. The claim to GitHub also calls for the removal of every fork of Spotify Dogfood. Since the project was open-source, there may be continued development by others. There is at least one other fork, named 'Spotify Dogfood Core,' but I'm unsure if it's still being updated or not. Regardless, if you don't want ads in your Spotify app, it's probably easier to just pay for a subscription.